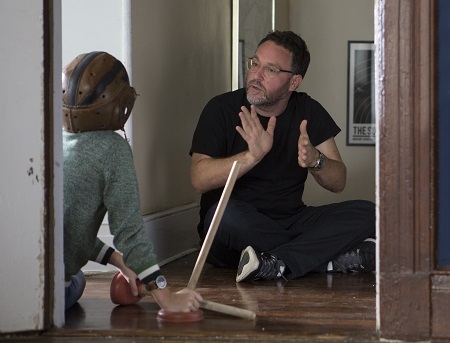 The Book of Henry might end up being the most controversial motion picture of 2017. Gregg Hurwitz’s strange, surreal script offers up an empowering family-friendly story of a genius 11-year-old, his cute-as-a-button little brother, their loving mother (who’s more of a kid than they are) and the sexual abuse of their next door neighbor. There’s also an additional subplot revolving around cancer and overcoming grief, as well as a major bait-and-switch where the person the audience assumes is the protagonist turns out not to be, the main character actually someone else entirely. 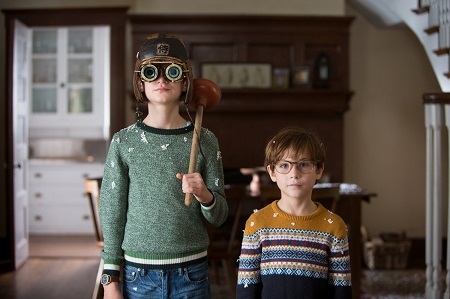 Up-and-coming child actors Jaeden Lieberher (Midnight Special), Jacob Tremblay (Room) and Maddie Ziegler (“Dance Moms”) portray the kids involved in all this craziness, while Oscar-nominee Naomi Watts headlines things as the boy’s adolescently inclined mother. 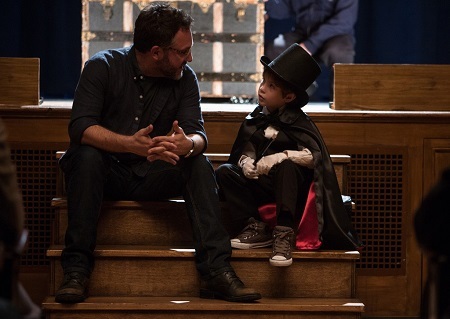 Director Colin Trevorrow, a filmmaker who made an instant name for himself with 2012’s Safety Not Guaranteed and fresh off the international box office success of Jurassic World, captains this particular ship, and for my part I feel like he does a rather nice job navigating through all the melodramatic excess. While not an easy film, the subject matter guarantees that, those who have disliked the picture doing so with unbridled, venom-laced passion, I still managed to tap into the emotional sensibilities at the center of things. Even if not every transition works, and while not all of the narrative constructs fit together comfortably, I was still deeply affected by this story, and by and large I felt like I had a solid grasp of what it was the filmmakers were hoping to accomplish. Sara Michelle Fetters: I had read that you were fascinated by Greg Hurwitz’s script early on, but you had to put the movie on hold to go do Jurassic World. What was it that grabbed you, that made you go, “No, no. Wait for me. I am coming back to do this.”? 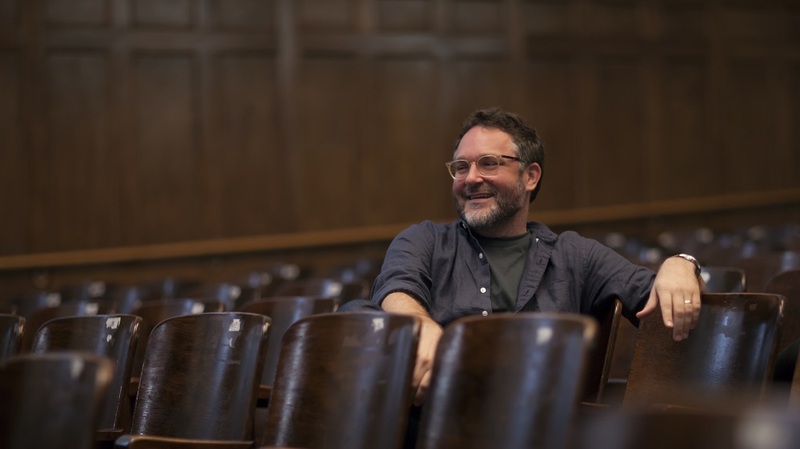 Colin Trevorrow: There is something within [the script] that I just felt reflected our experience in the world right now. The experience of reading the script and watching the movie made me have that same sense of righteousness and a sense of anger because of the shocking, almost bizarrely shocking things that happened on a daily basis. I feel like a child sometimes. I feel like a little kid who’s looking out the window and saying, “Why is the world so terrible, and what can I do to stop it?” It just connected with me, and I felt like this was a fable and a parable that would allow me to tap into some of that anger and recognize ways to deal with it that are also problematic. Sara Michelle Fetters: For a movie that ultimately is so empowering, you do risk a lot with this film. The subject matter, it ain’t easy. How do you balance all that happens in a way that fits the themes and tone you’re going for while at the same time hopefully not alienating a large segment of the audience? Colin Trevorrow: Well, very carefully, is the answer. The thing that makes it most dangerous for me as a movie is that I think we’ve begun to misinterpret the intentions of the characters in films for the intentions of the filmmakers, because we’re constantly thinking about the film as a film. It’s very difficult to get swept up into something where you’re just watching choices that people make, whether they’re the right ones or the wrong ones, and not accepting them for what they are. We have a main character in this movie who doesn’t reveal herself to be the main character until well into the movie, and then makes a series of choices from start to finish that go from being irresponsible to certifiably insane. And yet, at the very end, becomes a parent and finds her compass as a human being, as a woman and as a mother of two. I found that to be a path that I couldn’t maybe take a hero on, but one I could take a main character on that is closer to life for me, however bizarre that all may feel. We all make huge mistakes. We can get ourselves in a lot of trouble with the choices that we make, one’s that may make sense at the time but are revealed later to be the opposite. Ones where when you think back on them you’re sort of like, “What was I thinking?” And it really moved me, that moment when she says, “You’re only a child.” I have children, and sometimes I feel like they’re smarter than me. I know they’re smarter than me. You can reach a point where you rely on them a little bit too much and forget that it’s our responsibility to be the adults and to make the right choices, to set an example for them because they just haven’t been alive as long. And that matters. Sara Michelle Fetters: Talking to some fellow critics after the movie, it struck me how many of them just couldn’t accept the fact that Henry is a child. Because he is such a genius in the movie, it just seem that some people can’t grasp the fact that, yes, he’s super smart, he’s super intelligent, but he’s still 11-years-old. The intuitive leaps that he makes are the intuitive leaps of somebody’s that’s lived 11 years. Am I looking at that correctly? Colin Trevorrow: No. That’s the point of the movie. Absolutely. You can be the smartest kid in the world, but intelligence is also wisdom. Intelligence is also time. I feel oftentimes the person who you feel has said the wisest and smartest things to you will be a grandparent, will be someone who’s been on this planet for 80 years, and I think that it’s important in a moment when we have so much anger in the world. There’s a generation that’s a little younger than me, but I went through it, too. I was out there protesting, and I remember that sense of righteous anger, and I hope that they all recognize that it’s only going to get harder. It’s only going to get crazier, and the complexities and darkness of the world are only going to become more apparent. I’ve been here for a little while now. You want to think that with age and with time maybe you find peace. But really what you find is it’s just far more complex than the simple black and white, good and evil that you have the serenity of knowing as a child. Sara Michelle Fetters: And speaking of her story, Naomi has a challenge here. 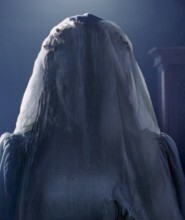 This could have easily been one of the most unlikable mother characters we’ve seen in ages, and yet she really taps into this woman’s humanity, and does so in a very complex way. What’s that like for you? Watching her discover that over the course of the film? Colin Trevorrow: I think it comes from a real place. 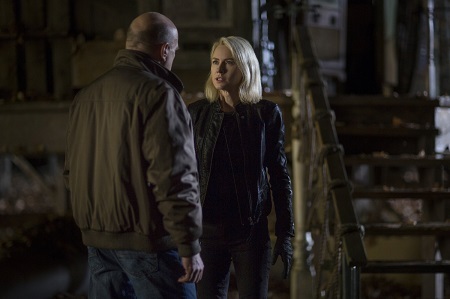 She has two kids, two boys who are of similar ages, and I know that she connected with this material in the same way that I did and as Jaeden did. She gets it. She’s been making movies for a really long time. She knows how much of a tonal gauntlet this was, how much of a narrative gauntlet it was, and she wanted to run it with me. She wanted to tackle it. I understand how someone with her level of experience would be hungry for those kinds of challenges. I would argue that it might behoove me to not be quite so hungry for those kinds of challenges, but I am. I can’t change who I am. And however much I love the opportunities that I have and have been given to tell new versions of the stories we love, I also have a real need to tackle something like this. Sara Michelle Fetters: Well, and that’s the question, isn’t it? How are you going to balance that going forward? Making these larger-than-life franchise films, like Jurassic World, like Star Wars Episode IX, but also hopefully having the time to make these more personal films? Is that something that is high on your agenda? Colin Trevorrow: Well, we’re approaching something that’s different. This movie is the most personal movie I could ever make. This next one is also absolutely the most personal thing I could do in addition to being the largest big-budget thing that I’ll likely ever be a part of. I honestly don’t have plans after that. I might just give [Star Wars] everything I have and then disappear. I just don’t know. But I feel like it requires that focus. 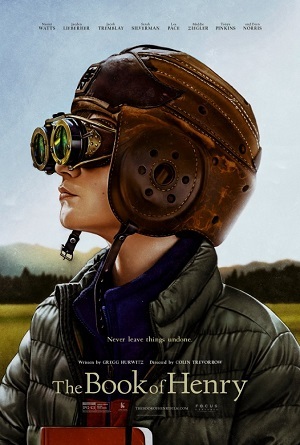 Sara Michelle Fetters: At the end of the day, now that this film is out there and general audiences get their say, what do you want them to take away from The Book of Henry? What do you hope that they’re talking about as they exit the theater? Colin Trevorrow: Well, I think that the movie might take a second with some people to reveal its intentions, its purpose for existence, its value, what it’s trying to do and what I think it succeeds at doing. I have been showing the movie all across the country all week, and I’ve seen the way audiences have been responded. We’re talking on a morning where we both read the critical response of this movie, and however much I respect it, I have to acknowledge that the audience reactions to the movie have been vastly different, that they go along with these tonal shifts that happen. The very thing that you mentioned of not believing Henry as a child, I have found that the audience doesn’t have that response, and I don’t think it’s because I’m there and they’re kissing up to me. Seems like a lot of critics haven’t been able to do the same. Obviously, I would love to please everybody, that would be the greatest victory, and that’s certainly a requirement of my next job, to make this work on both of those levels. But at the end of the day, if I had to choose, however painful it may be, to not receive the critical acknowledgements that I would like but still garner audience approval, I’d go with the latter. This movie is affecting audiences very deeply. It’s moving them. It’s something new for them that they’re really appreciating and loving. That has value to me.